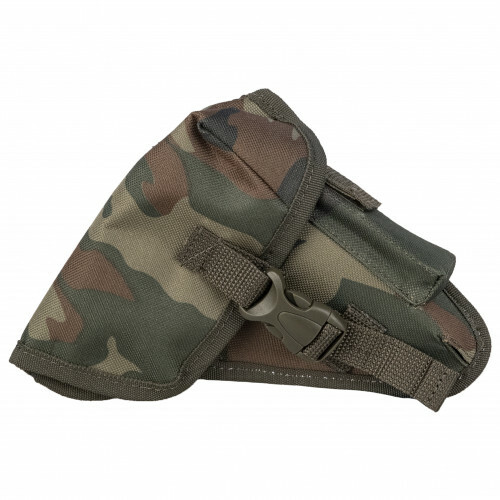 Light and compact, this holster was created for police officers. It's made from oxford. It's not so durable, but cheaper, than Cordura (most of other holsters on our website made from Cordura Fabric), and much lighter. The main aim for Police Officers was weight - it must be as small, as it possible, small size, pouch for additional mag and of course price. Take a look on this holster, if you are looking for light and compact holster for affordable price. Can be used on milsims. Can be placed on MOLLE. Fit compact pistols, like Valter, PM, PMm, compact Glock models and etc.